It began with a Channel 13 reported Saturday night that after President Donald Trump’s recognition of Israeli rule on the Golan Heights, Prime Minister Benjamin Netanyahu is considering applying sovereignty over parts of of Judea and Samaria or applying Israeli law there. Sources close to Netanyahu which are not involved in his election campaign said that in the past Netanyahu opposed the annexation or the application of Israeli law in Judea and Samaria but in recent weeks he has changed his position and is more open to the idea of ​​promoting such a move, at least regarding the settlements. The sources noted that American recognition of Israel’s sovereignty over the Golan Heights have pushed Netanyahu to examine possibility of annexing or applying Israeli law to parts of Judea and Samaria. According to these sources, should Netanyahu put together a narrow right-wing coalition government after the elections—meaning not a broad coalition with Benny Gantz’s Blue and White slate, this scenario would become even more real and the likelihood of it would increase significantly. The timing of such a move would be after the presentation of Trump’s peace plan, which the PA is likely to reject and which Israel would accept but with reservations. In such a scenario, Netanyahu apparently believes that it would be possible to obtain the support of a disappointed Trump administration for the partial annexation or application of Israeli law over areas which the American deal would initially recognize as remaining under Israeli rule. UPDATE: In a TV interview later in the evening, Netanyahu clearly stated that he will apply sovereignty over all Israeli settlements in the next government. 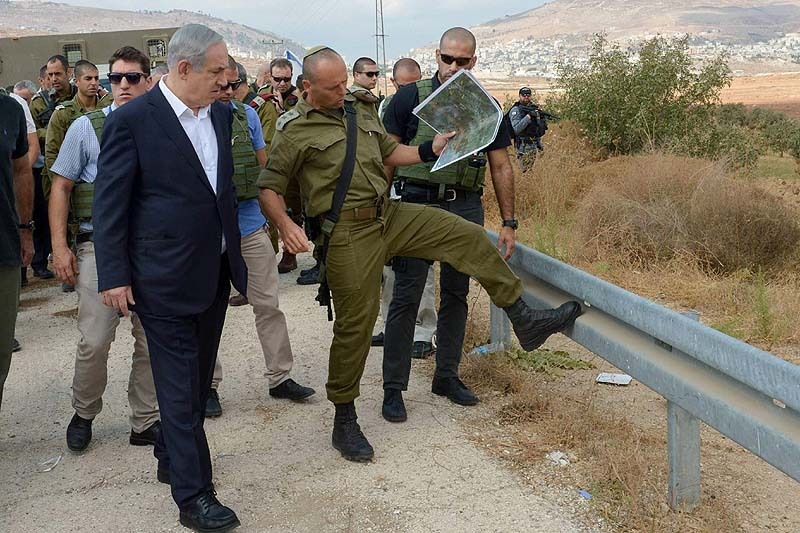 Netanyahu emphasized that he will not differentiate between settlement blocs and individual settlements.